We don’t need a new year to begin anew, but isn’t there something satisfying about starting on the kalends? Especially those that fall squarely on a Monday, and a full moon? What will you begin this year? Who will you become by the last page? If you haven’t started yet, don’t worry, there’s always tomorrow morning. And the morning after that. Plenty of opportunities to begin being. 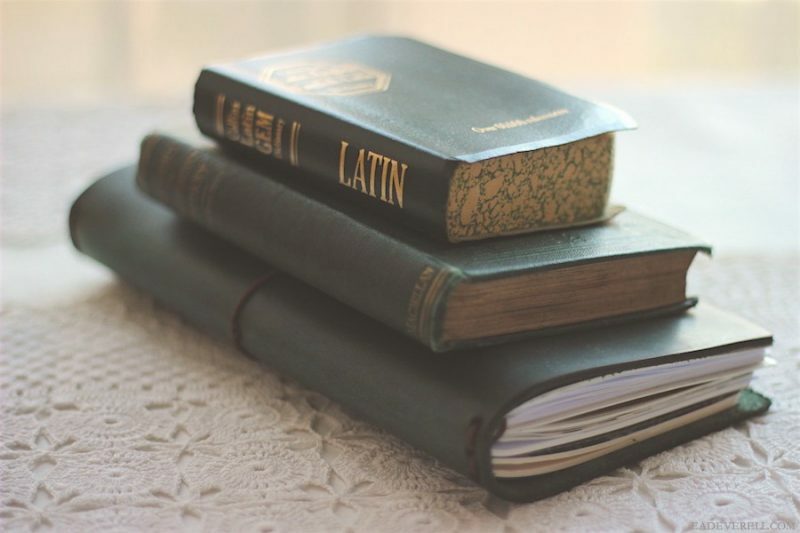 I’m excited to begin Lingua Latina II this month. The new edition (published September 2017), includes illustrations in full colour, to match the ones in LLI, which I completed last year. 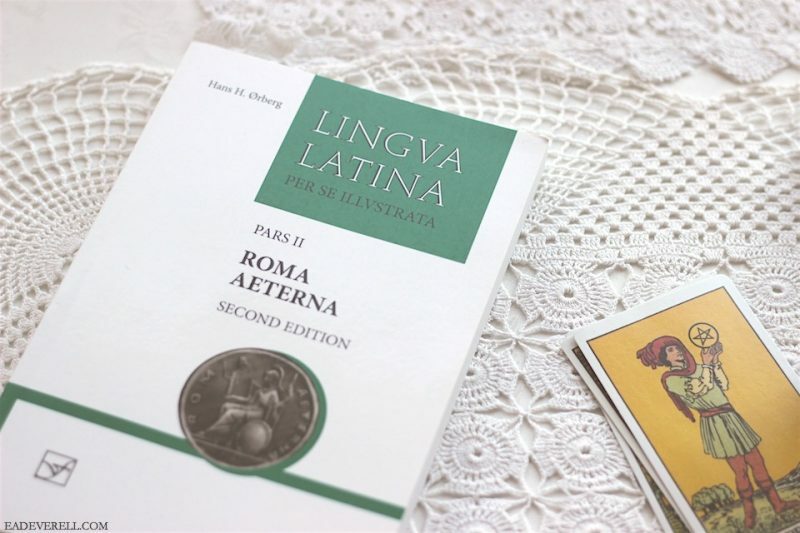 If you’re considering taking up Latin, Lingua Latina by Hans Ørberg is the best textbook for self-study. Much better (and lighter!) than Wheelock, in my opinion. I hadn’t considered the excitement of starting a new story on Monday, especially with Sunday’s work done and dusted posted. The promise of “finish this, and then you can start something new”, is also pretty powerful! I hadn’t anticipated just how much new afflatus would float into my life in the most easy and natural way. I will try to document these in the story notes every week. Faced with this challenge, I’m amazed at how I’ve suddenly fallen into the strict writing routine that has eluded me for so many years. 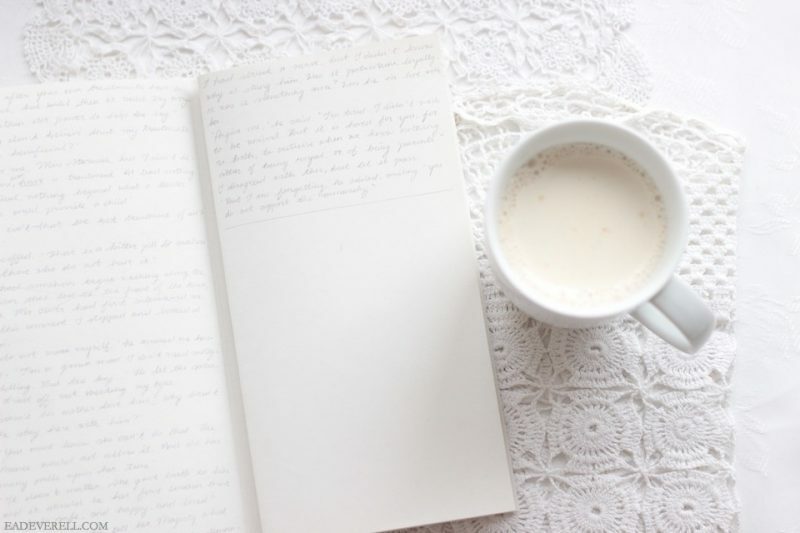 Handwriting is key to channelling the muse. However, I must admit that I’m a bit nervous about falling off track when I’m travelling… we shall see! If an author behaves in a way we disagree with, or that we find morally repugnant, should we shun their entire oeuvre because of it? What about works that they have co-created? What about authors whose lives are (as far as we know) “unobjectionable”, but whose works or opinions we find morally repugnant? Is there a spectrum of moral dislike, and if so, where do we draw the line between reading an author’s work, and not reading it? Does it matter how much we like the work, or how important we (or others) consider it? 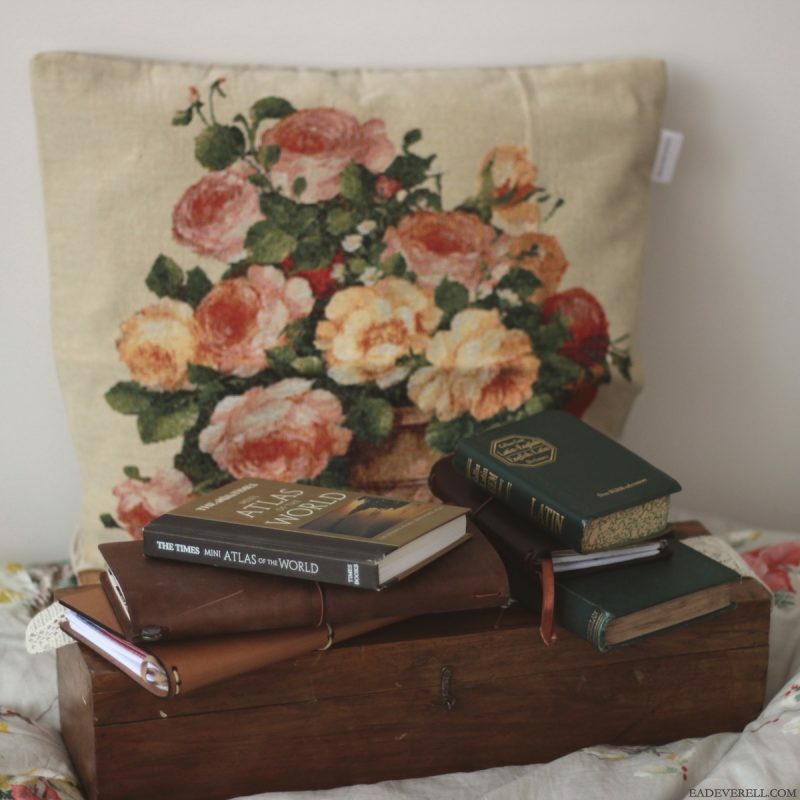 How can we be sure that we are in possession of all of the facts, and are justified in passing judgement? Can we ever be in possession of all of the facts? Are we ever justified in passing judgement? Does reading an author’s work or recommending it to others, necessarily imply support of the author, or worse, complicity? Does it matter if the author is dead or still alive? Should historicity and social context affect our judgement? What about authors of whose lives we are personally ignorant? Or anonymous works? How does the work/life divide affect us as authors? Should we try to keep our lives private? Would our actions pass muster? This article about Orson Scott Card suggests an interesting compromise: accept the contradiction. Perhaps I will even consider re-instating Card’s book on character creation in my creative writing reading list, but for now, I just don’t know. Marion Zimmer Bradley’s Avalon novels were some of my favourites as a teenager, and this article asks some of the same questions I do: can we ever read her work in the same light, and with the same innocent enjoyment as before? What a privilege to be living in an age where we can take a class from one of the greatest chess players ever, and without so much as leaving our home, or getting dressed up, or exposing our complete scacchic ineptitude! 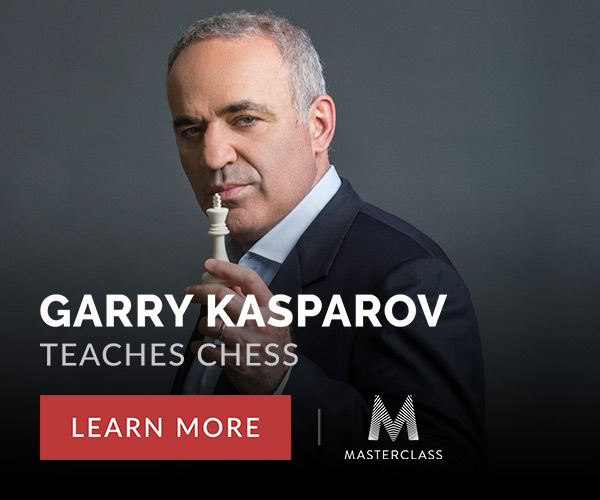 I’ve been eagerly awaiting this masterclass for many months, and I’ve learnt so much from it already (including the odd Russian word)! I’m going to need to update my chapter on chess strategy in the Lady Writers League Library with some new tactics. I love the aesthetic of the video lessons, and the course also includes a download of all of the example positions that Kasparov demonstrates, in PGN format so you can open them in a programme like chessx. 10/10! I am a Masterclass affiliate, but that in no way affects my opinion. These classes are magical. As we begin a new year, I wanted to thank YOU, and all of my other readers for your support. Thank you for reading, for sharing, and for just being. Also, thank you to Writers Helping Writers, The Write Life, and Feedspot for featuring my site on their lists.